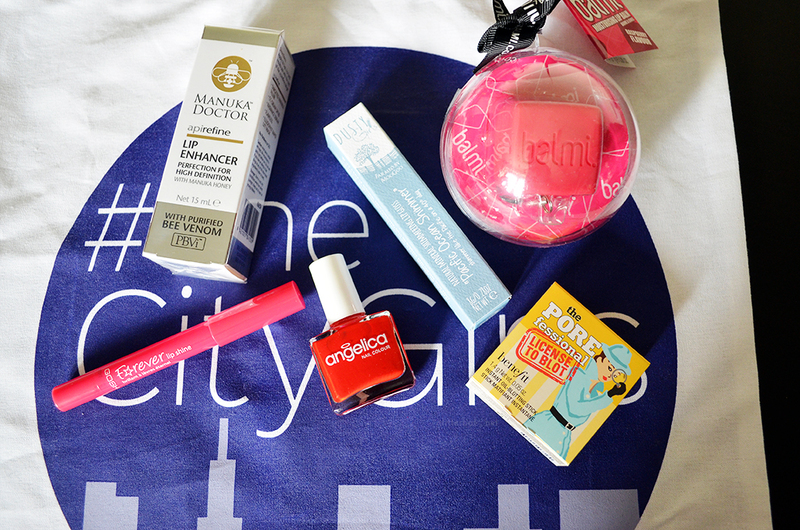 It’s time for the second post of my planned #TheCityGirls updates, this time I’ll be taking you through the ridiculously huge goodie bag I was given at the end of the event. Firstly though, I want to mention the tote bag itself, made with the fabulous Awesome Merchandise – a local business I’m actually really familiar with through my work on the Blythe doll collector convention, BlytheCon UK. 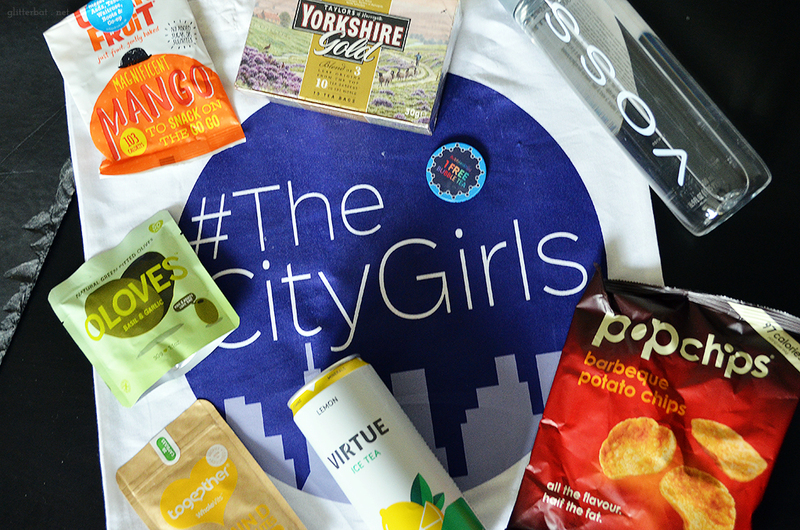 We’ve used Awesome Merchandise for our event tote bags, stickers, post cards and flyers for the last few years now, so when I saw that Lorna and Holly had gone with them for #TheCityGirls printed tote bags, I did get a lovely dose of the warm and fuzzies. Also, Dan and I used Awesome Merch for our wedding invitations! Need I say more? I’ve tried to split the products up into rough groupings to make it a little easier to go through, and I’ve linked the brands featured under each photo. Please do go check them out, as they included some amazing gifts for us not only in these bags but some even gave raffle prize donations too. I’m really excited to try out the License To Blot sample from Benefit, especially given how hot and gross the weather has been – my face just melts in this weather! The Balmi raspberry lip balm is a definite favourite here too, as I’m in love with the cute rubberised cube packaging and the (somehow not at all sickly) raspberry scent and flavour of the balm contained inside. I’m looking forward to trying out the Manuka Doctor lip enhancer too, if a little bit nervous about putting bee venom on my face! 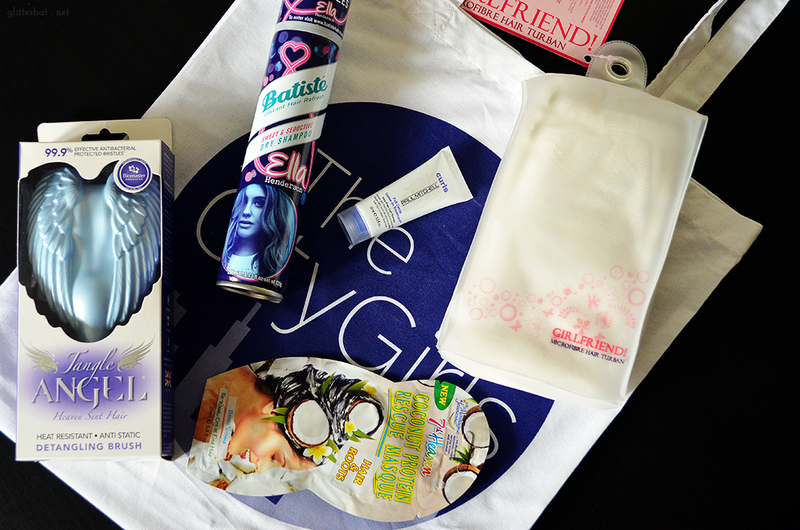 There was also a discount voucher for Beauty Crowd and Pastille Beauty Salon which I can’t wait to use! How could you have an event in Yorkshire without featuring Yorkshire Tea? I can’t live without a good cuppa, and regular Yorkshire Tea is one of my go to brands for a proper brew (alongside Twinings). I loved the Virtue ice tea, it was a super refreshing drink with a great punch of lemon flavour. I’m really looking forward to trying Bubbleology too, as I’m a big fan of bubble tea but rarely get to drink it. So much bath and body stuff! 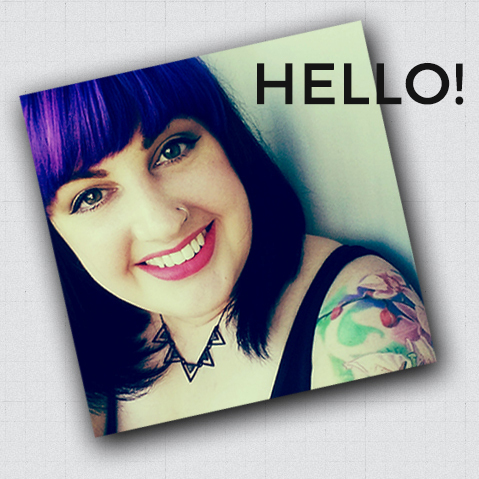 Virtual high fives to the MooGoo full cream moisturiser, as it makes my skin super soft and smells like ice cream – what’s not to like? 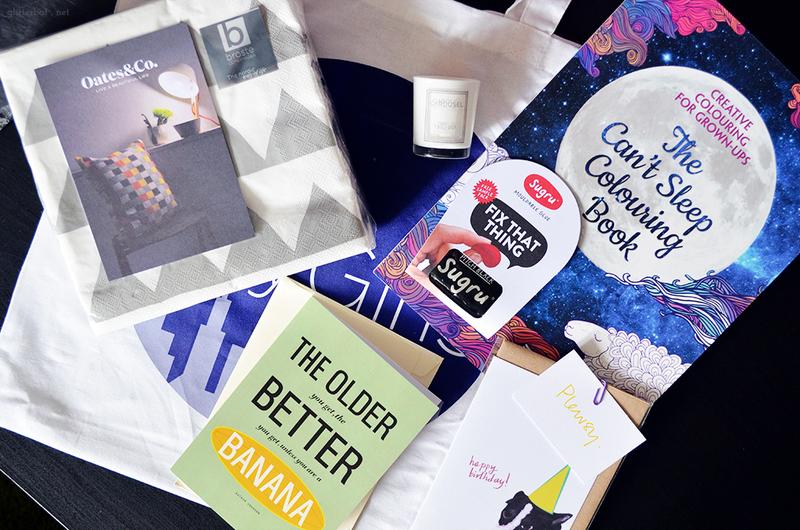 The Derma V10 collection was a really nicely put together “blog post in a box” and I’m really intrigued to see what these products are actually like, given they retail at just £1 each! I’m absolutely loving the Tangle Angel brush – although the blue one now belongs to Dan (and his gorgeous, unbelievably straight and silky tresses) and I’m using the one I won in the raffle (spoilers!). The microfibre hair turban from The Works is absolutely ace too – really thick and luxurious feeling, especially compared to the rubbish one I bought from a £1 shop a while back, haha! 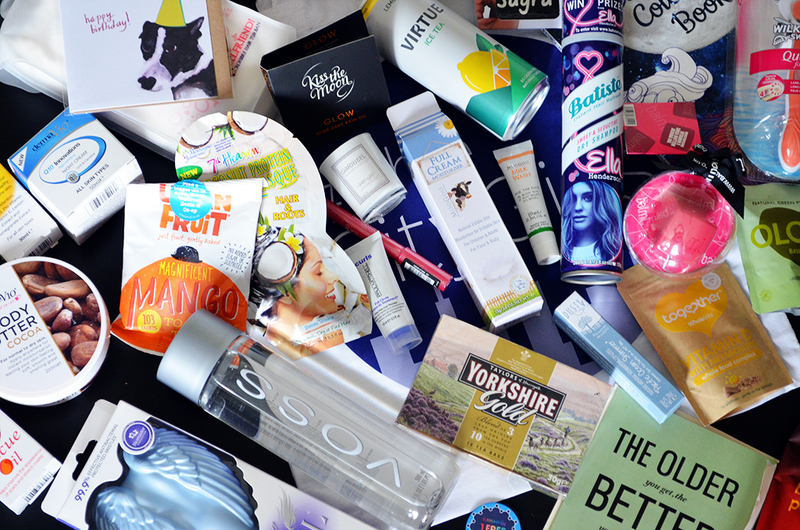 Thanks again to Lorna and Holly for curating such amazing goodie bags, and to all the brands who contributed. 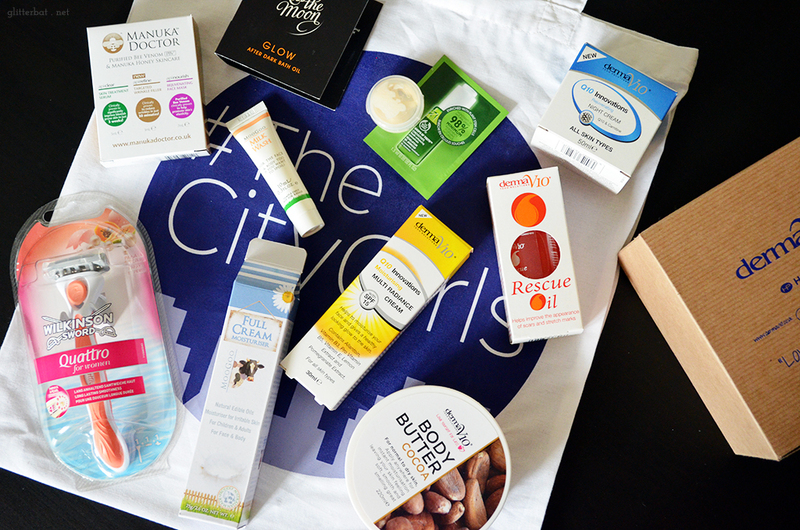 I can’t wait to put some of these products through their paces – is there anything in particular any of my readers want to see first?